Due to the sensitivity of the proposed development a contaminated land planning condition was attached to the decision notice for the erection of a replacement dwelling. Demeter Environmental were commissioned to undertake the work required to discharge the contaminated land planning condition. Initially a desk study report was prepared to determine the potential issues on the site. The first stage of the desk study report was to review the site history, O.S. maps indicate the site was initially open land with a pond on the central area of the site. The current dwelling was built int he early 20th century. 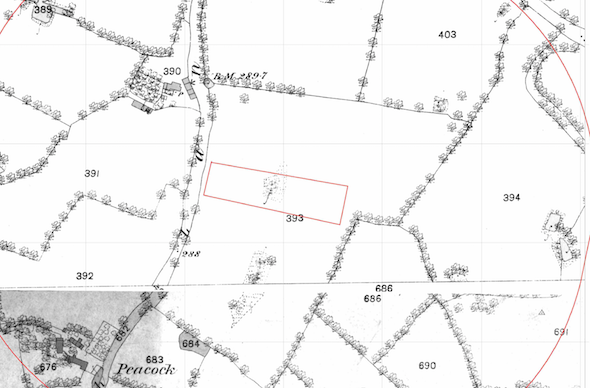 A number of parcels of in-filled land were identified in close proximity to the site on the O.S. maps. Data provided by Groundsure and the Environment Agency identified a landfill 195m west of the site. On completion of the desk based review a site reconnaissance visit was undertaken which revealed the site was occupied by a two storey dwelling and associated garden areas. Hand held trial pits were excavated to demonstrate that made ground was not present close to the surface. A quantitative assessment was undertaken and it was concluded that the material used to in-fill the pond on site has the potential to be impacted by elevated levels of contamination. It was proposed that a single trial pit was excavated within the footprint if the pond. 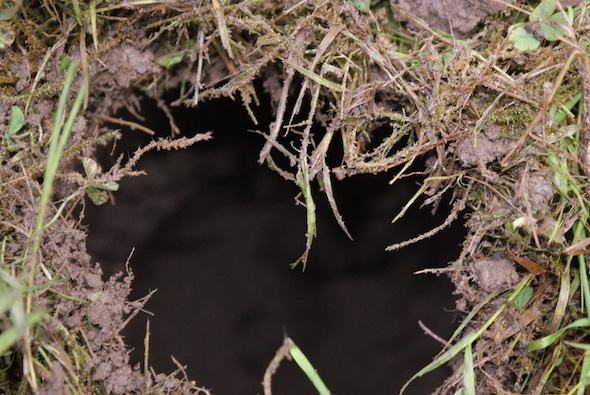 The trial pit was excavated by the client and the information forwarded to the local authority. The report and additional works were accepted by the local authority and subsequent applications for the site did not have the contaminated land planning condition attached.